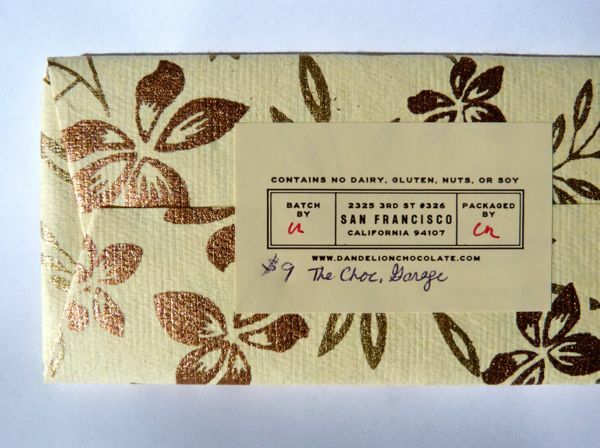 I first became acquainted with Dandelion Chocolate at The Chocolate Garage (Palo Alto, CA). The Garage (aptly named for a 3-year old startup in Silicon Valley) is a great place to meet interesting people and to sample chocolates that have been carefully curated by Chief Garagista, Sunita de Tourreil. 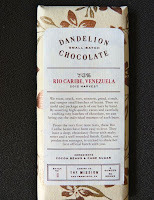 Sunita carries many great chocolates from Venezuela, most (but not all) made by American craft chocolate makers. 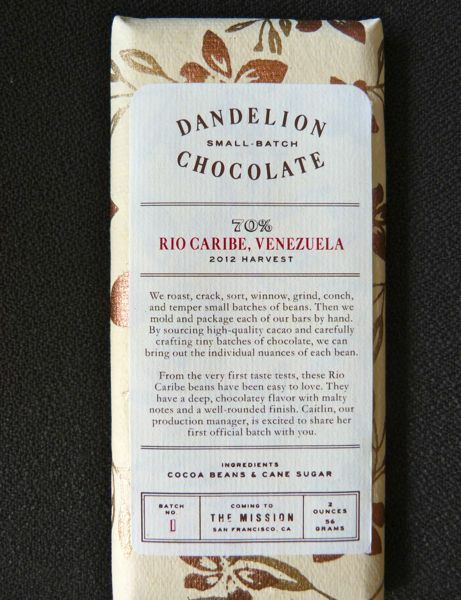 Dandelion Chocolate (San Francisco, CA) is one such maker. Because this was an older bar (probably squirreled away for too long in my chocolate vault, waiting eagerly for Venezuela week), it had taken on a very slightly chalky texture. However, as I held a bite in my mouth to dissolve, I enjoyed the rich, acidic chocolate flavor with a hint of an earthy finish. Today was Day #3 of Chocolate and Venezuela Theme Week.